One of the bigger conversations at SOLIDWORKS World 2018 was around the availability of SOLIDWORKS xDesign. SOLIDWORKS xDesign, an easy-to-learn and use application, is available via a browser, making it accessible on the go–anytime, anywhere and on any device. Built on Dassault Systèmes 3DEXPERIENCE Platform, SOLIDWORKS xDesign provides its users with key capabilities needed during the product development process – a powerful 3D CAD parametric modeling system, embedded file and data management, cloud collaboration and connectivity, and an easy path to manufacturing with integration to Cloud 3D printing and a network of FabLab machines. On Day 1, SOLIDWORKS user group leader, Ed Gebo shared his experiences. You can read his blog here. On Day 3, SOLIDWORKS CEO Gian Paolo Bassi showcased some of the inspirational designs created for an xDesign mini challenge. 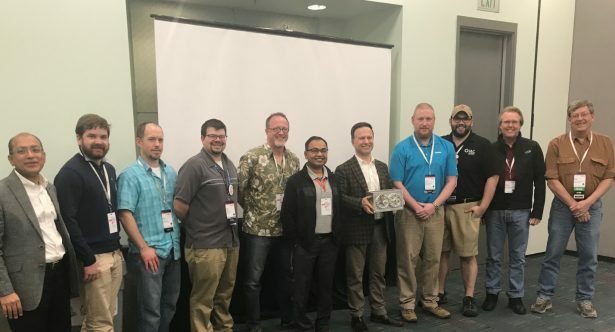 One week prior to SOLIDWORKS WORLD 2018, we reached out to handful of participants who had indicated strong interest in evaluating new products and were attending SOLIDWORKS World 2018 to join the SOLIDWORKS xDesign mini challenge. 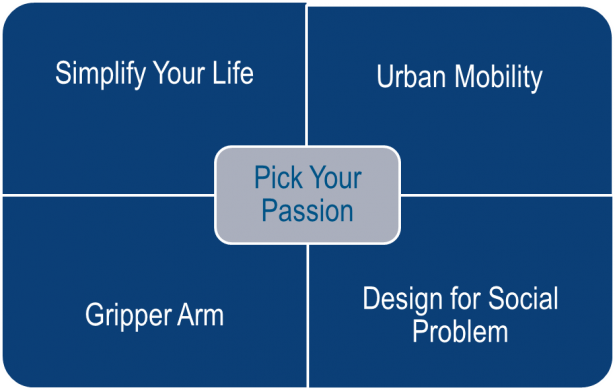 Amid their full-time work commitment and preparation for upcoming SOLIDWORKS WORLD trip, we asked these participants to pick from one of four themes, find a problem that is closer to their heart, and translate their eureka moments into a product design using SOLIDWORKS xDesign. No training or demo was provided; each of the participants first saw the product when they got their hands on it for the challenge. Within hours of accessing SOLIDWORKS xDesign, we started seeing ideas pop up and get translated into design. Participants with SOLIDWORKS CEO Gian Paolo Bassi.